Marketing Manager Bryony has lived and worked in Margate since 2010. She is passionate about Margate’s creative scene and has been integral to the development of Turner Contemporary’s brand and exhibition marketing campaigns. Bryony is now developing the gallery’s profile as a leading tourist attraction, both nationally and internationally. 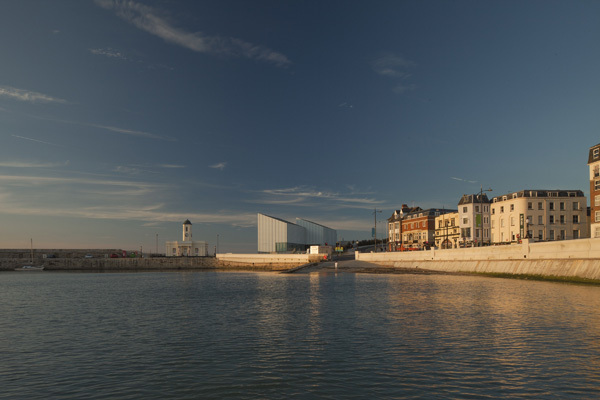 Turner Contemporary’s Twitter account @TCMargate was voted ‘Best Kent attraction on Twitter’ for engagement and conversation by Twitter in autumn 2014. As Press Manager, Monique has extensive knowledge of regional, national and international arts and travel media. Since 2012, she has single-handedly generated press for Turner Contemporary’s exhibitions and projects, including coverage on BBC Front Row, BBC Radio 2, BBC One Show, The Guardian, Times, Aesthetica, Apollo Magazine, World of Interiors, Coast Magazine, and Radio 4 Start the Week to name a few, as well as wide regional coverage including media partnerships with KM Group, Thanet Gazette, Academy FM, BBC Southeast and ITV Meridian.